Travels close to Asheville, N.C.
We are taking a brief journey on this page regarding the momentous events that occurred as Meher Baba traveled close to Asheville on his way to his accident in Prague, Oklahoma. 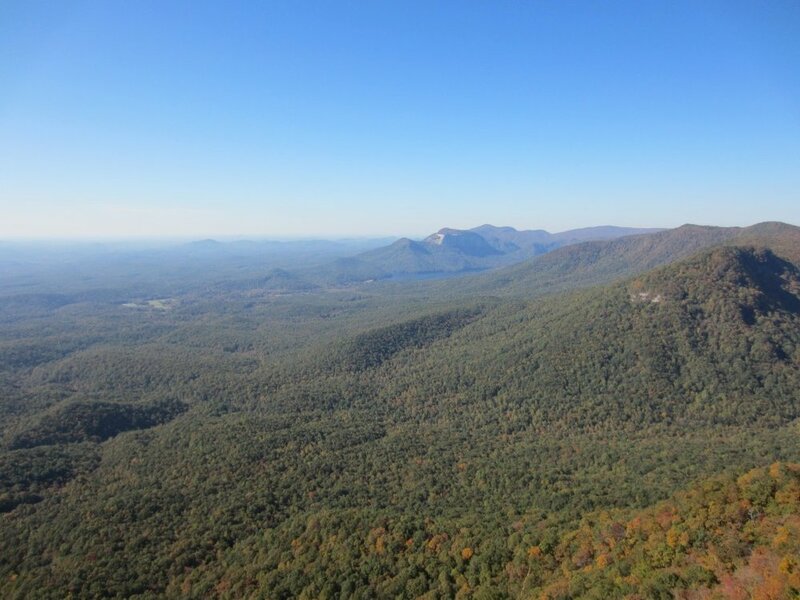 An hour and nine minutes away from Asheville, North Carolina is the State Park in South Carolina where Meher Baba and his traveling group stood atop one of the mountain outlooks to view Caesars Head and then he went to Brevard, a town only 34 minutes south of Asheville, where Baba and his traveling companions had lunch. They traveled through Franklin, North Carolina then headed to Murphy, North Carolina. Trail of Tears Intersection | Former site of Fort Butler behind McDonald’s, Murphy, NC. Cherokees were interned at the Fort before their removal. The Beloved Avatar of the Age left Murphy, North Carolina on Route 64 (which was one of the routes of the Trail of Tears) to shed his blood at the end in Prague, Oklahoma. This brief sojourn on the website is to give you a glimpse of Baba’s trip close to Asheville. 1Kalchuri, Bhau, The Biography of the Avatar of the Age Meher Baba, Volume Five, p.1636, 1932-1934by Manifestion Inc.
3 Kind permission to use text from Dr.Goher’s Diary for this website has been granted by the copyright holder, Avatar Meher Baba Perpetual Public Charitable Trust, Ahmednagar, India.